If you love astronomy and space as much as Meteorologist Maria LaRosa and Meteorological Content Producer Kathryn Prociv, then listen up! 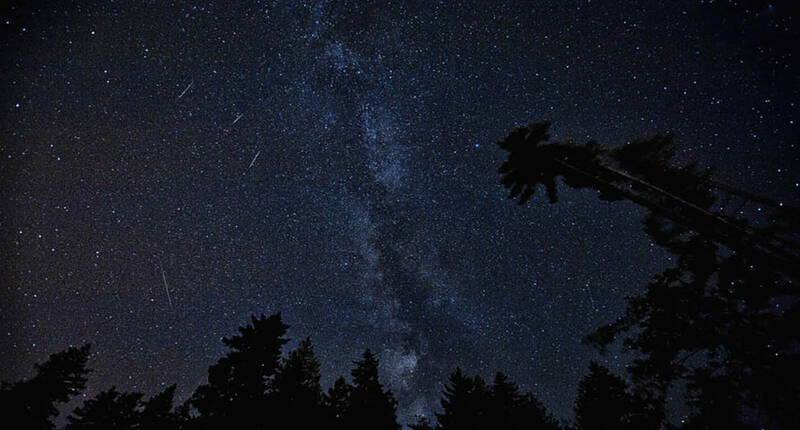 The annual Perseid meteor shower is happening TONIGHT and it’s going to be more spectacular than ever! Here are the details Maria and Kathryn want you to know about why this year’s meteor shower is more predominant than usual, how to capture these meteors on camera, and how your area’s weather will impact your view. There are a couple of factors that are going to influence how incredible this Perseid meteor shower will be. First, Jupiter’s current gravitational pull has placed Earth 930,000 miles closer to the dust trail, where the meteors are. This automatically gives us a better chance of seeing the 200 meteors that will fly every hour of the night. Maria and Kathryn report that the best time to look for them will be between 12:00 AM and 4:00 AM. Another reason the meteors will be seen more clearly is because the moon will set at 1:00 AM. With the absence of this extra light, the sky will be extremely dark and therefore highlight the meteors better than ever before. If you’re into photographing weather, this may be a great opportunity for you to try your hand at meteor photography. Unfortunately, iPhone cameras are not the most efficient at taking these types of pictures, so Maria and Kathryn recommend using a Nikon or Canon camera. Make sure you adjust your settings so there’s a high ISO and a small aperture. Also, set your exposure to 20-30 seconds long so you have a higher chance of getting that marvelous capture. Set up your camera on a tripod and point it NE to get the best results. Depending on where you are in the country, your chances of seeing the meteor shower vary drastically. The west coast will have a wonderful view of the shower, so if that’s where you are, go outside and try to spot some meteors! There’s low pressure moving into the Texas area, so the views may be questionable depending where you are in that region. Places that have storms heading their way might have a poor chance of seeing the shower because overcast and stormy skies are often hard to see through. However, Maria says that if your area is cloudy or mostly cloudy, your likelihood of seeing meteors is still high! The northeastern region may get lucky enough to see the shower and aurora borealis at the same time, so if you live up in the far NE, definitely make time to go outside tonight! If you’re going to travel somewhere to see this beautiful astronomical phenomenon, go to a destination where there isn’t a lot of light pollution and the humidity is low. Get outside tonight, Thursday August 11th, between 12:00 AM and 4:00 AM for the chance to see some amazing meteors from the Perseid meteor shower. If you have captured a picture of a meteor before or capture one from the shower tonight, please share your pictures and stories with us in the Meteor discussion in the Continuing the Conversation forum! I didn’t see the meteor shower. I’m so jealous because everyone else saw the meteor shower. I’m in cocoa beach Fl and I just saw two pieces of the shower. It is a beautiful night for it here. I just went out and it’s now become overcast. I am approximately two miles from Asheville Regional Airport, and the 0700Z METAR shows overcast at 6000. Just my luck. 8/10, around 9:45 PM, I was taking my trash to the curb in Central Virginia, and just happened to look up as one of the most brilliant meteors I’ve EVER seen materialized directly overhead and disintegrated silently into the darkness. Only then did I remember the Perseid was nearing its peak the next night. A memorable sight I’ll never forget. ATL outskirts should have great viewing. Go to a golf course if you can! I don’t think time zones matter as the earth rotates so you guys on the left coast would still view it after midnight PST. ENJOY! Your correct Joseph, the viewing times are local accounting for earths rotation, 1200 AM – 0400 AM. Broken clouds with showers here in the Big Bend Region of Texas. Hope it clears a little after midnight. Everyone Enjoy!! we will not see it tonight in northern ohio. cloudy and a lot of lightning. Likely partly cloudy skies, but should be enough breaks to catch a glimpse! How about northern Minnesota? I would love to see this meteor shower! Anytime before dawn will work. Cape May NJ. I get a pillow and lay in the bed of my truck as I have before and its spectacular. I live in a dark spot and once I got tired of watching I saw so many. I look and wait to see the ones with a big green tail. Cool stuff. Really gets your mind going and a great time to meditate. Yes I have fallen asleep but what a show. Don’t miss it. Still haven’t figured out if somebody is missing and the new girl is nice. Why isn’t bonnie full time? You can get your local weather from weather.gov just click on your region or enter your zip code and you’ll have your local weather including maps hourly forecast from your regional national weather service. We live in western Washington; what time is best for us to view. Best time will be 12am-4am for you in NJ, and look northeast. Beach a great option as it offers dark skies! Yes, which direction to look. What are the time zones for observation? Probably safe to assume those times are Eastern since TWC is headquartered in Atlanta. Wow, four Comments added while I was typing my comment to Abby…See? Well, good luck to all…and to all a good night! Excellent question Abby. I was thinking similarly about SW Florida’s chances and I’m sure others are wondering for their areas…t’wud be nice if they’d given us a general idea of chances (all things being unfettered), just based upon N · S · E · W ~ right? Guess we’ll have to search online a bit. Best of luck, enjoy! Looks 50/50. Could have some clouds overhead but not totally overcast skies. Clouds can add a cool effect to photos too! South Padre Island – do we have a chance? Absolutely! Get out if you haven’t done so already! Lucky me, I live in West Virginia in the middle of 400 acres, closest neighbors are a mile in any direction, nohin’ but dark out here except full moon shining off the pond. What time zones are you referring to in your article above? I’m in Pacific Time Zone, so will we see it around 9pm? Good point! I’m in Scottsdale AZ. It’s clearing now so I hope we will be able to see it but the timing is important. Probably safe to assume that the times are Eastern since TWC is headquartered in Atlanta. Do you think that the Midwest will have a good chance of seeing it? Where in the Midwest? Unfortunately storms rolling through parts of WI, IA and IL will prevent clear skies, but if you’re in southern MO, IN, MI or OH you have a good shot!